The essential element in a watch which makes it the perfect fashion accessory is the balance of a contemporary look and an elegant feel of the classic. With the recent advancements in the field of chronometry, the present era is definitely seeing an upsurge of beautiful timepieces that blends the contemporary with the ageless, giving you a self-referential modern design. However, contrary to what one may feel about the affordability and quality of such lesser-known watch brands, these are undeniably ruling the present high-street fashion scenario! 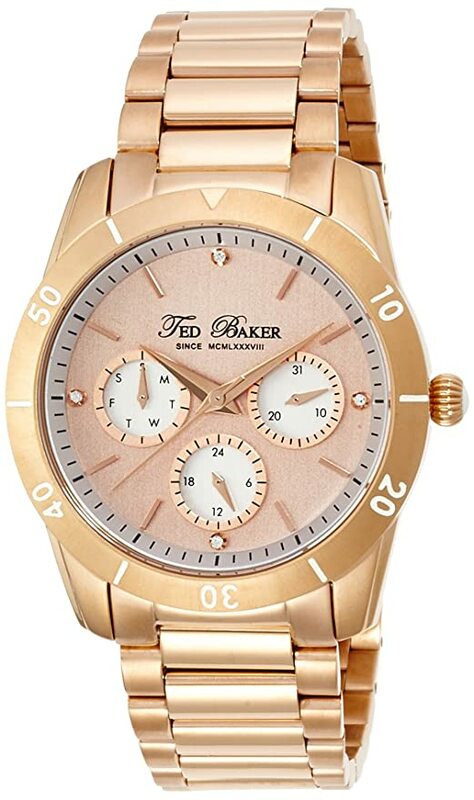 And one such brand is the Ted Baker, which opens a brilliant range of stunning watches that are pretty “meta” in form and design alike. And this is going to be my review of the Ted Baker range of watches. Ted Baker is a UK based brand that has been known to stir up some excellent collections in the fashion industry since the late 1980s. The brand is a recognized creator of beautiful shoe and clothing lines. As of late, it has also been acknowledged as a skilled manufacturer of some magnificent watch designs for men and women alike! 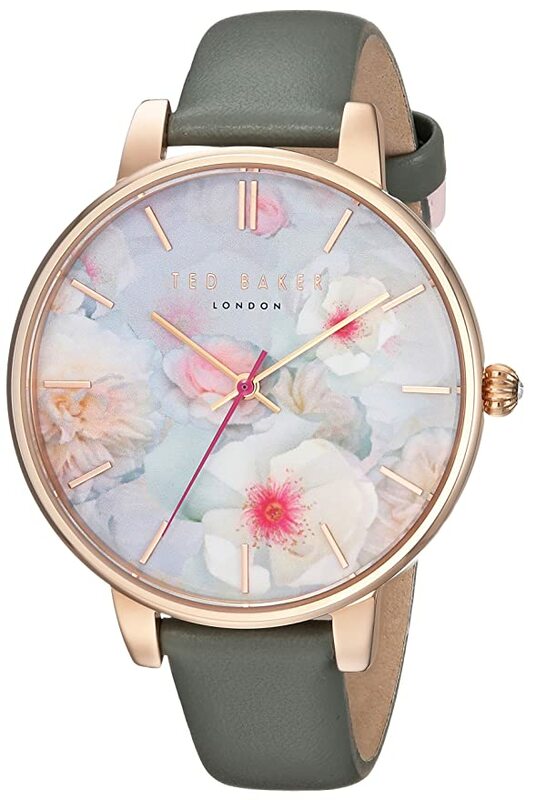 Ted Baker does offer an eclectic blend of the classic and the contemporary in each of its timepieces that accentuates an individual statement for all who wear them. The pricing for these watches fall somewhat mid-range between high-class fashion and charming casual, lesser expensive timepieces. But one thing that the brand does offer is a diverse range of styles and design. This makes it all the more suitable to both genders, allowing them to pick and customize a unique style of their own. Each of the watches from the brand has been crafted with care, keeping different aspects that define different personalities in mind. Most of these are heavily inclined on the “event-based” style of things that makes them perfect dress watches. I was first introduced to the brand by one of my colleagues who is into the marketing research sector of new watch brands. This is when I first noticed that the brand’s innovative take on contemporary designs that retained the essence of the classic. I currently possess one from the men’s collection, and my wife has one of the women’s lineup that was a gift to her from me. 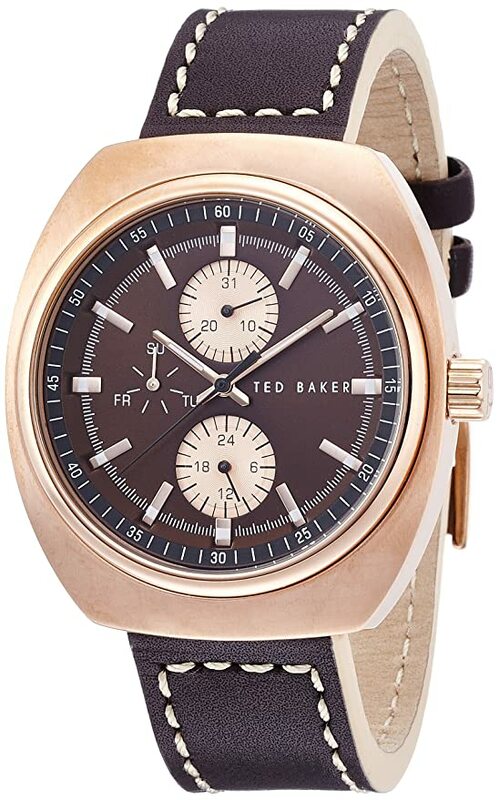 The one that I had bought for myself was Ted Baker Men’s TE1130 Sport Analog Watch. This is a stunning analog watch from the brand that comes with Japanese-Quartz movement. The watch consists of a premium quality brown textured leather strap with a stainless steel safety buckle. This chronometer is made entirely out of stainless steel with a high shine finish to the 40 mm case and crown. Owing to its diameter, the watch looks good on any kind of wrist, be it large or small. The dial face and bezel consists of a hardened mineral crystal finish that makes it exceptionally formidable and resistant to sudden impacts and scratches. One other thing that I admired about the brand is that it provides a limited lifetime warranty for its products, which ensures the kind of investment you make. The Japanese Quartz 3-hand multifunction movement comes with day and date display set on three subdials on the main dial face. It looks stunning with any casual attire or even a light formal. But what I really love about this watch is that it provides a water-resistance of up to 165 feet! This comes useful and convenient for all water-sport enthusiasts such as myself. However, it may get a tad bit slow after a considerable period of time. The second watch that I got was a glamorous women’s watch as a gift for my wife. 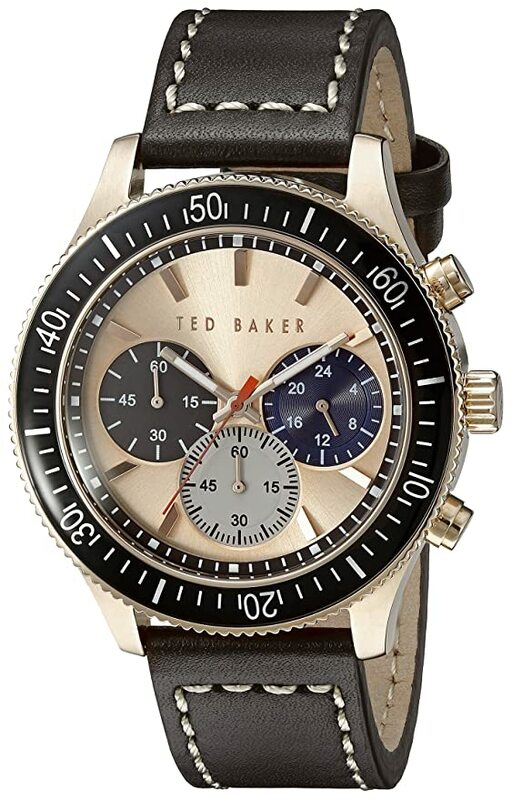 This was the Ted Baker Women’s Analog Quartz Kate TEC0025007. The design on the dial face of this watch is inspired by the impressionist watercolor paintings that looks enchantingly beautiful on every delicate wrist. A beautifully tailored authentic leather strap and clean-lined edges make this a truly exquisite timepiece for all enchantingly unique feminine form. The form brings a blend of the grandly polished and playfully alluring in a single watch that is an ideal alternative for every occasion. The case diameter of 38 mm perfectly fits any feminine wrist size with ease, making for a lovely attire statement. The quartz-movement in this watch does hold up an accurate time-tracking. However, similar to the previously mentioned watch, it could falter after a period of time. Although the watch itself is durable, it does scratch up. This is something that I didn’t see in the men’s watch. Wish this came with a mineral finish as well. One substantial relief was that this comes with the 165 feet water-resistance feature that makes it safe for light water-sports, as my wife is even more of a water-sport enthusiast than I am! A particular issue that I noticed with these watches is that they do slow down after a period of time, which may vary from several months to a couple of years. Also, not all watches from the brand are scratch-proof. Some really scratch up and may even chip under sudden impacts. 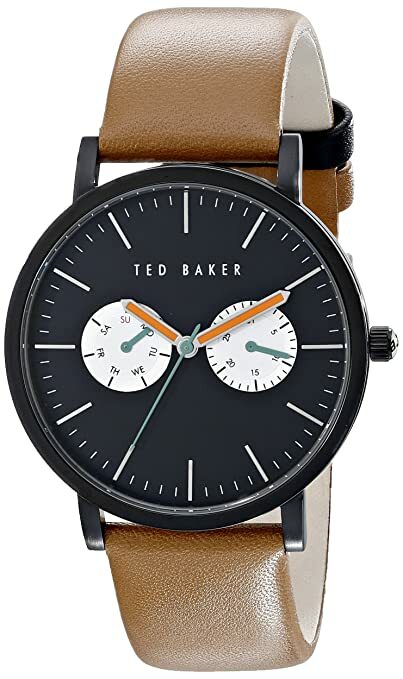 Although both of these watches came at a pretty affordable price, certain Ted Baker models could be really expensive, making it a tad bit difficult for most to buy. 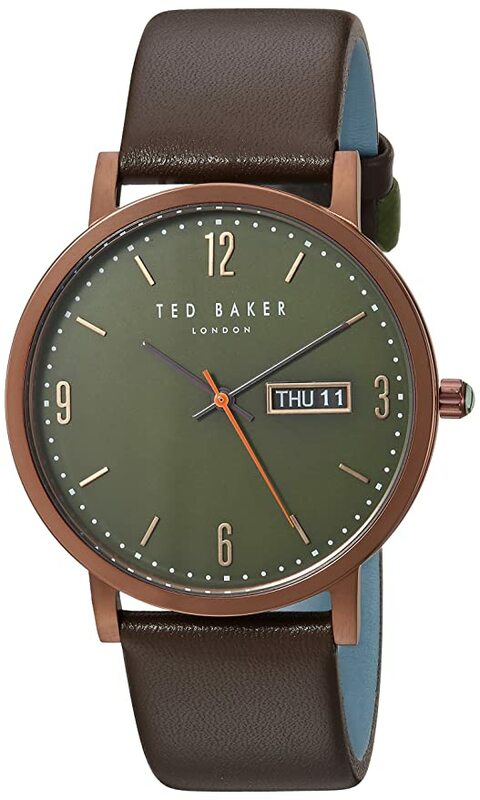 So that was all for my walkthrough of the Ted Baker watches. I hope you liked my review and now have an insight into the workings of the brand.